While the idea might sound like an unscrupulous tactic designed to make customers buy more products, the reality is the benefits of cross selling and upselling accrue to both the customer and the merchant. Whatever your enterprise, be it selling beauty products from home, hand knitted scarves or surfboards, cross-selling and upselling can be good for everyone involved. Among the immediate advantages you’ll see from an effective cross-selling and upselling effort are increased order totals, higher conversion rates, increased sales of higher margin items and popular products as well as improved customer satisfaction. Upselling is a function of exposing a shopper to a higher-priced item than the one they came to purchase, because it will better serve their needs. Meanwhile, cross selling is showing a customer key goods that will complement their purchase. This can be either items they will need to complement their key purchase in order to get it to perform optimally, or items that, when used in conjunction with the primary purchase will improve its efficacy in some way. 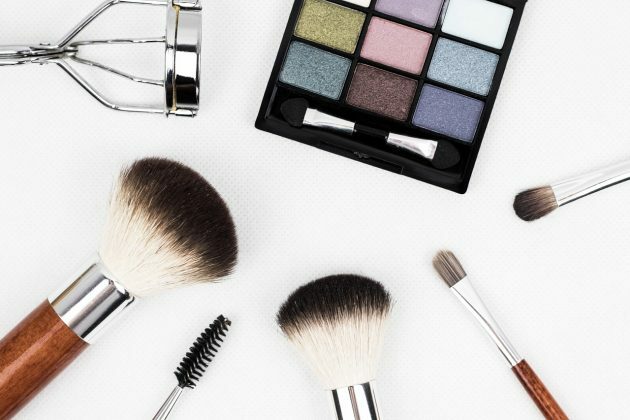 For example, if you’re selling beauty products from home and a customer buys concealer, cross selling would be also offering concealer brushes to apply the product. They’re going to need them regardless; if you can bundle them into the same package the customer will pay a lower shipping cost and you’ll sell more products. Upselling would be offering the customer a better-quality concealer than the one in which they’re showing the most interest. The better-quality product will cost more, but it might also last longer, be better for their skin, or easier to apply. Whatever the benefits, make sure they’re communicated to the customer to get them to consider the product carefully. When done with the customer’s best interests in mind—rather than your own—these techniques will result in more sales, which will improve your bottom line. The real beauty of it is, you increase your average order value while benefitting your customer in a greater fashion. They’ll actually be grateful to you. Often customers arrive at your site unaware of additional needs a purchase will incite. Say for example, you’re selling electronics online and a customer buys a 4K 3D Blu-ray player. To get the most out of it, they’re going to need a 4K HDMI cable to see the full benefit of the added definition. Providing this information and ready access to the cable could be just the thing to tip the customer’s purchase decision in your favor—particularly if the price is good. “Customers who bought this, also bought…” Displaying a row of items similar to the product sought will give the customer the opportunity to choose to buy better merchandise than what they thought they wanted. Knowing other people bought it too can be strong incentive to make a purchase. Ecommerce platforms like those offered by Shopify make showing complementary products in this manner easy to do. Few things are more frustrating than getting a new item home only to learn a key piece of equipment you need to enjoy it still needs to be purchased. This can sometimes be irritating enough to make a customer return an item. When you let them know right up front the purchase needs an ancillary product to function, you’ll save them time, trouble and angst. Customers appreciate this. The benefits of cross-selling and upselling are many. But the main advantage about which you need to be concerned is it will make your customers happier with their purchases.